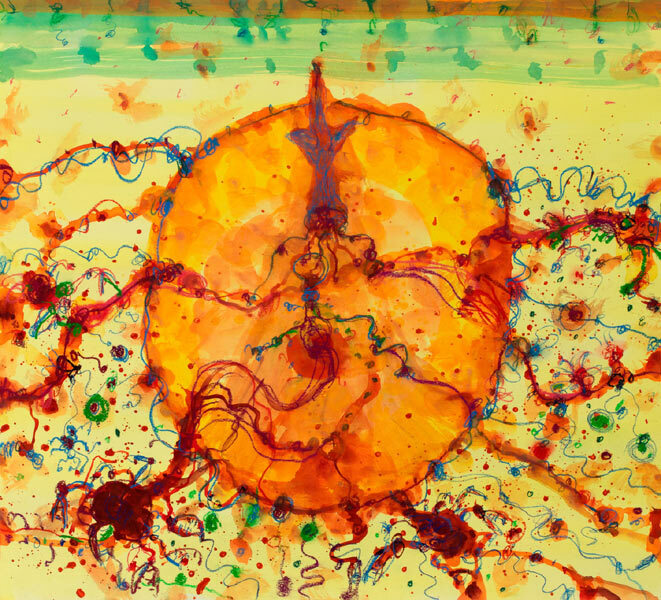 This John Olsen print is of the orriginal painting titled “Paella Marinara” These prints are limited to an edition of only 35 prints, all are hand signed by John Olsen. All Paella Marinara prints are blind embossed with a Kookaburra design drawn by John Olsen confirming their validity. Printed using Japanese pigment ink onto 308gsm archive paper. Paper size 87 x 92 cm, Image size 75 x 82 cm. John Olsen, Paella Marinara fine art Giclee print is avaibale form Etching House.